One of the more stressful situations for any tenant moving out of a rental is waiting to hear whether you’ll get your bond back. And there’s good reason for the stress. Only about half of tenants receive a refund on their bond, new data shows. In 2015/16 one in 10 tenants did not receive any of their bond back, while 35 per cent only received some of their bond back, the latest Rental Bond Board Annual Report shows. This could be due to small issues in the home overlooked by tenants – even after a routine clean and moving out your furniture there are often issues that can eat into your bond. Rental Trends that the tenant speak with us and ask for our recommended cleaner to come in and do a bond clean. The cost can vary from [a few hundred] upwards depending on the size of the property and how clean it is to begin with. Forgotten fans and filters: At the top of the list were fans, filters and unseen parts of the property that can get particularly dirty during a 12-month tenancy. In particular, exhaust fans are a common case of out-of-sight and out-of-mind. From our experience, tenants sometimes overlook the cleanliness of their exhaust fans which are prone to attracting lint and dust in bathrooms and oil and grease in kitchens. Oven and dishwahser cleaning: It might seem counter-intuitive, but dishwashers frequently need cleaning. For the dishwasher running a cleaner through, pulling the filters out and also cleaning the internal trims is necessary. 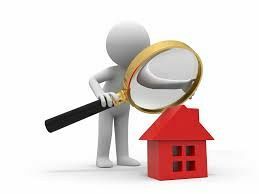 Rental Trends property managers will also look inside the oven when inspecting a property. A landlord or property manager are within their rights to open and inspect the oven, so they should be clean and free from food splatters, overflow or built up grease and oil. The range top should also be clean for the next tenant, A lot of people don’t realise gas stove top burners come apart and disassemble for cleaning. Pet related dirt: Those with pets in their rental property should also take special care to clean up after them. Buy a good quality vacuum … while a landlord or property manager might allow pets at the property, it is generally on the basis the property remains free from pet fur and mess. In particular, dirt can accrue “in door tracks and on skirting boards” that can quickly be cleaned by a tenant. Damage outside from pets should also be attended to. Mould Issues: Another issue that should be tackled sooner rather than later is any sign of mould in a rental property. This could be a result of failing to ventilate a home properly during the tenancy, so should be attended to well before moving day. This is particularly a problem in the bathroom, where tenants should “leave the window open a couple of inches. Rental Trends encourages tenants to thoroughly scrub shower screens, grout in bathrooms and other wet areas to remove bacteria. Incomplete gardening and outdoor maintenance: Tenants in houses with the benefit of a yard may have some work ahead of them to get their property in tip-top condition to vacate. For tenants that have a pool and pool maintenance is not included in their lease then they need to properly cleaned the filters and the cell. It is important to maintain the garden as best, despite wilted plants being part and parcel of a hot Australian summer. Some leases make the tenant responsible for maintaining the backyard while others may have a gardener included in the lease. Damage and marks on walls and doors: The final issue most tenants will find themselves needing to attend to is any dirt or damage to walls and doors that wouldn’t be considered wear and tear. Spot cleaning around lights switches, on door handles and internal doors would make a big difference at inspection time. Cleaning blinds and skirting boards were also high on the list of issues for departing tenants. Rental Trends also advises all tenants to take a full set of entry photos when completing the entry condition report and keep them in their own files … tenants need to be taking the same amount of care and time completing the exit condition report as they did when completing the entry condition report.